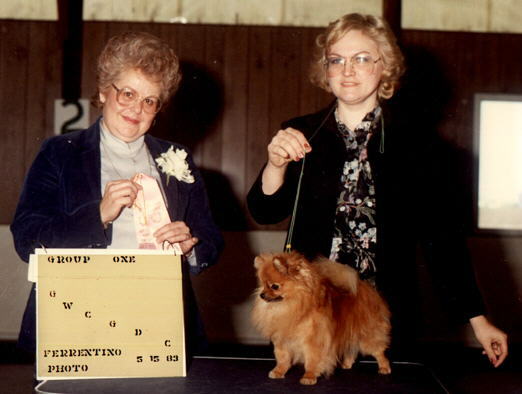 This is me, Sue, in 1983, showing Duke, our Pomeranian. 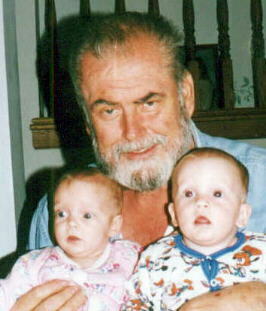 On the left is my husband Bob, with Judy's twins, Suzie and C.J.. He stays home with the puppies, while I go to work, and gives them lots of love. 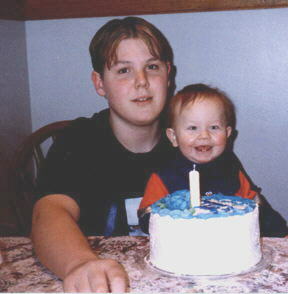 On the right is my oldest Grandson Jason with his baby brother Justin. I have included some of his Artwork for you to see. He helps me out a lot too, and loves to play with the dogs and puppies. Welcome Justin, our Newest Addition! 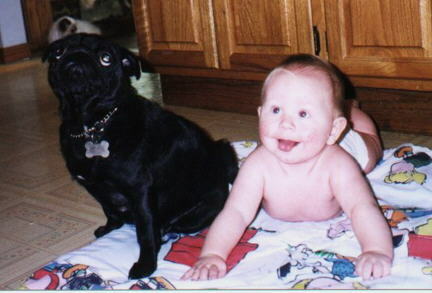 Shown here with one of our pugs, Winnie. 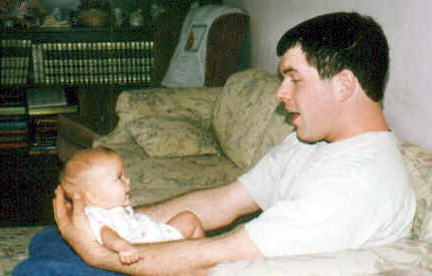 This is my son Bill, with Suzie. Bill is a carpenter by trade. He comes by often to help me out.